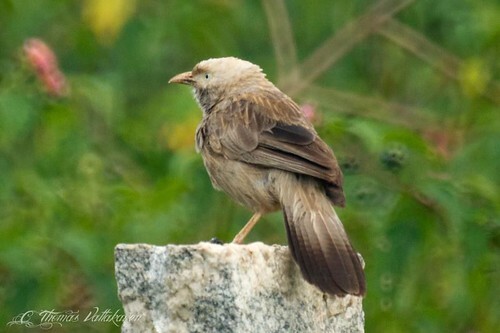 The Yellow-billed Babbler or White-headed Babbler (Turdoides affinis) is endemic to southern India and Sri Lanka. It is distinctive in having its head and neck a dingy greyish–white. 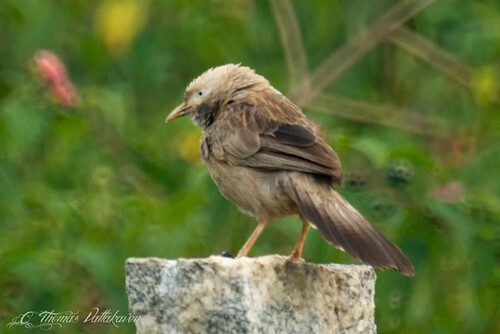 The rest of its plumage is an ashy brown colour. The tail has a broad dark tip. The eye is a bluish white. The bill, eye patch and legs are a whitish yellow. 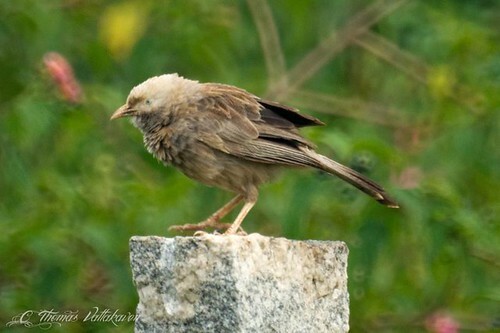 It is very similar to the Jungle babbler, and lives in flocks or about 10 or more birds. 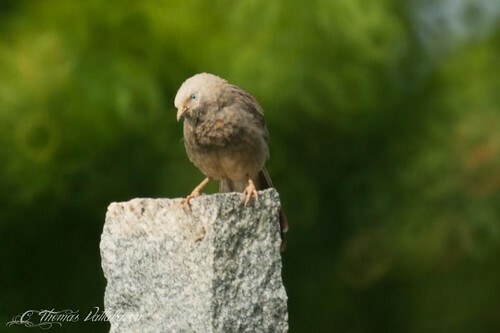 They can be seen in noisy excitable parties, feeding on the ground but flying up into the trees when disturbed, hopping from branch to branch and flying singly in extended file. 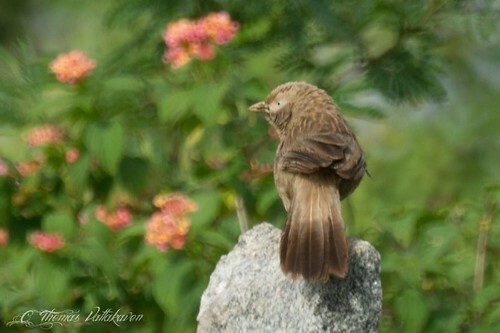 They can be associated with larger groups including the Rufous tree-pies, Drongos etc. 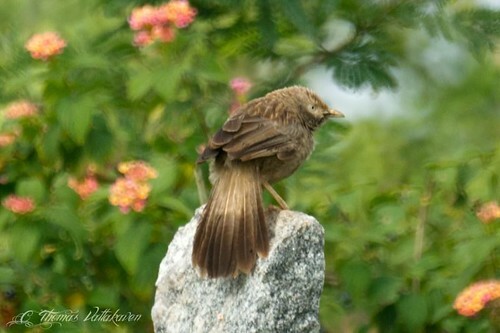 Their call is a loud whispering chatter, more musical than that of the Jungle Babbler . They feed mostly on insects and nectar but are also known to take larger prey such as lizards. They are not strong fliers and usually glide from the top of trees to another or to the ground. They have an extended breeding season lasting most throughout the year but the majority of the eggs are laid from March to July. The nest is a large clump of root twigs and grass built low in thorny shrubs and bushes. 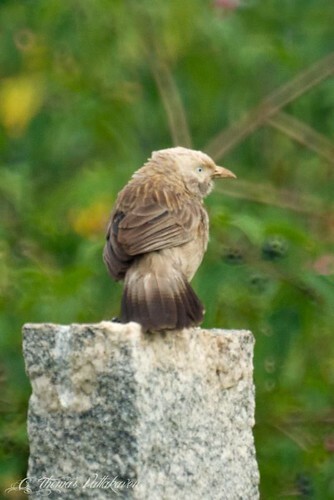 Other Details: Seen in a flock close to a flock of Green Bee-eaters.